In conjunction with the Nevada Museum of Art for the 8th year, the Holland Project Gallery is proud to host the 2019 Scholastic Art Exhibit honoring Northern Nevada’s up and coming teen artists and Scholastic Art Gold-Key recipients. The opening reception is Friday, Feb. 22nd from 6-8pm. We’ll have food trucks and music provided by DJ Emma Rash. Come support our region’s next generation of talented young artists!! 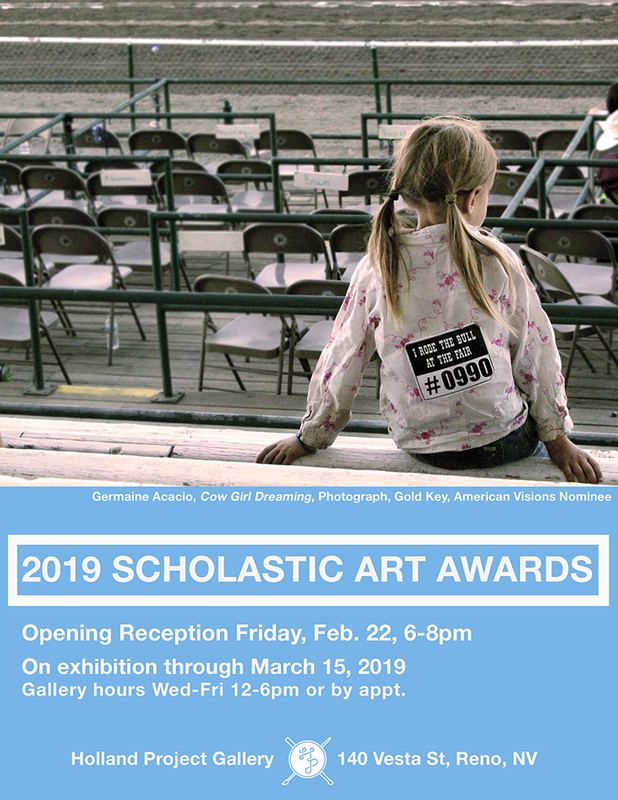 The Scholastic Art Exhibit will be on display from Feb. 22nd – March15th with gallery hours Wed-Fri, 12-6pm or by appointment by contacting alisha@hollandreno.org or calling 775-448-6500.